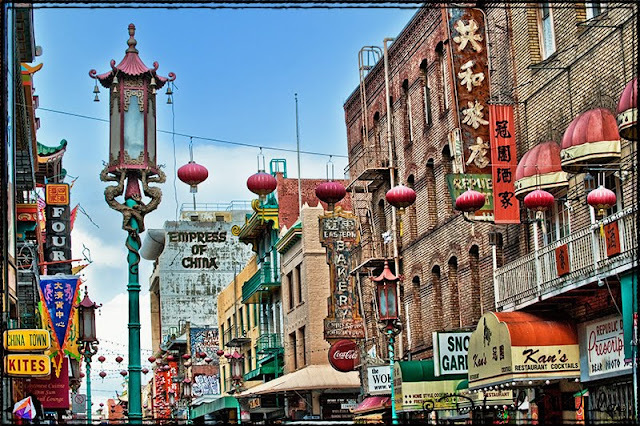 San Francisco's Chinatown is like being in another country. There is much to explore! I like the oriental lanterns rather than city's contemporary streetlights, they have a lot of character. The smaller red lanterns make everything very festive! When the markets are open, you can barely walk through on the sidewalk. People are looking for the freshest fish, or the best oranges, it's a lot of fun to watch and photograph!